Seagrave has also worked with numerous runners and tri-athletes on increasing running efficiency. 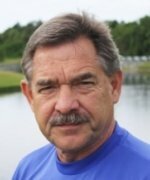 Establishing a reputation in track and field as one of the best sprint and hurdle coaches in the world, Seagrave has worked with countless Olympic and World Champions. In 2000, Seagrave co-coached 6 Olympians from 5 different countries, including the Gold Medalist in the 200-meters, Pauline Davis. He also served as Head Olympic Coach for Liberia, recording two national records in the Men’s 4 X 100-meter Relay. In 1998, Seagrave was sought out to direct the training of 100-meter Olympic Champion and World Record Holder Donovan Bailey. Seagrave is founder of Velocity Sports Performance, a franchise that teaches young athletes how to be faster and improve their athleticism so they can get off the bench and into the game. Velocity Sports Performance has opened more than 90 locations in North America. Most Velocity Sports Performance Centers are 15,000 - 20,000 sq. ft. facilities that house a speed and performance enhancement center, which assists athletes in maximizing their abilities.